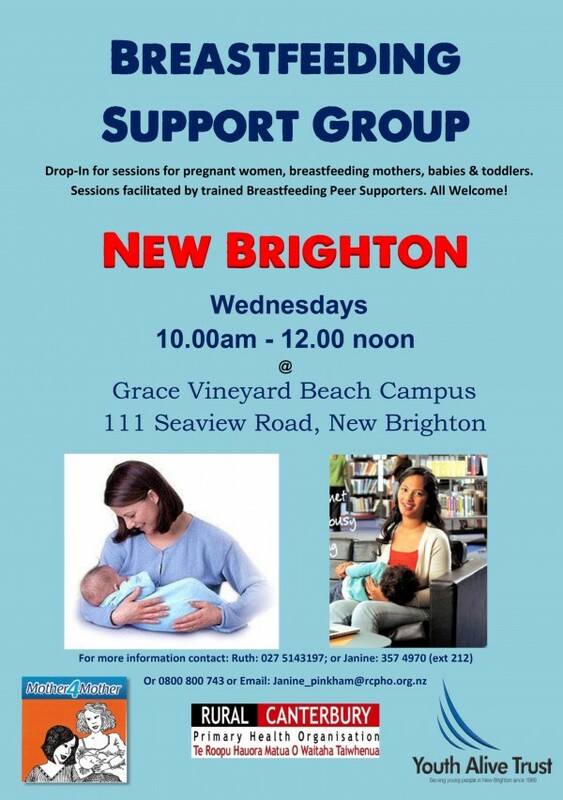 All pregnant women, breastfeeding mothers, babies & toddlers are welcome into this warm and friendly support group. Facilitated by trained Peer Supporters, from Rural Canterbury Primary Health Organisation. This popular support group is continuing into 2016, led by some amazing staff and volunteers – everyone welcome! Starting on Wednesday 29th July from 10:00am – 12:00noon, every week. Just drop-in for some friendly support and a hot cuppa!